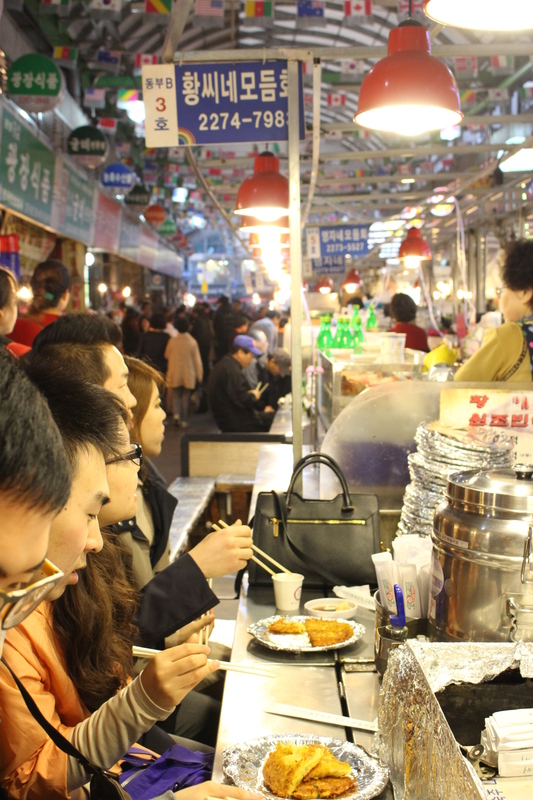 Gwangjang market is a traditional Korean market established since 1905. 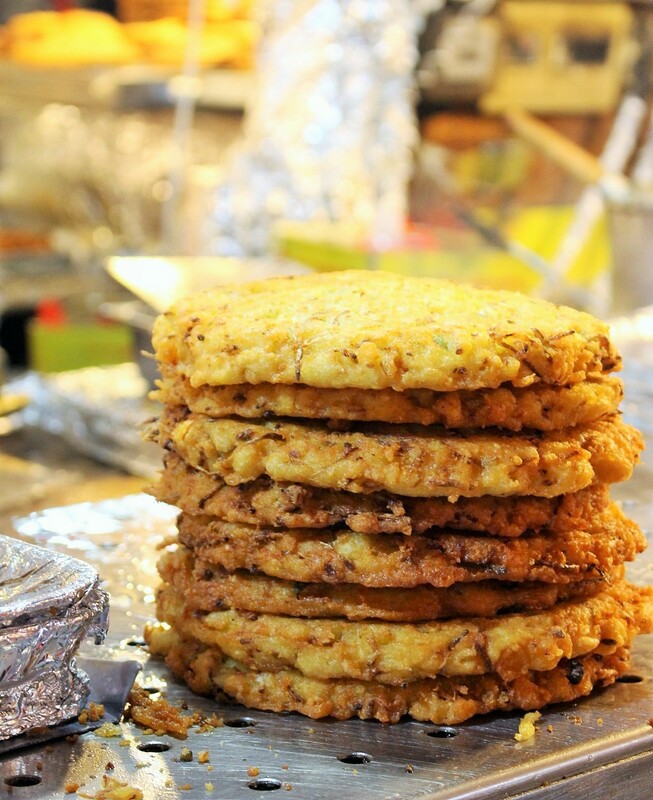 It is famous for Bindae-tteok (빈대떢), which has the shape of a pancake, made of mung beans and vegetables. 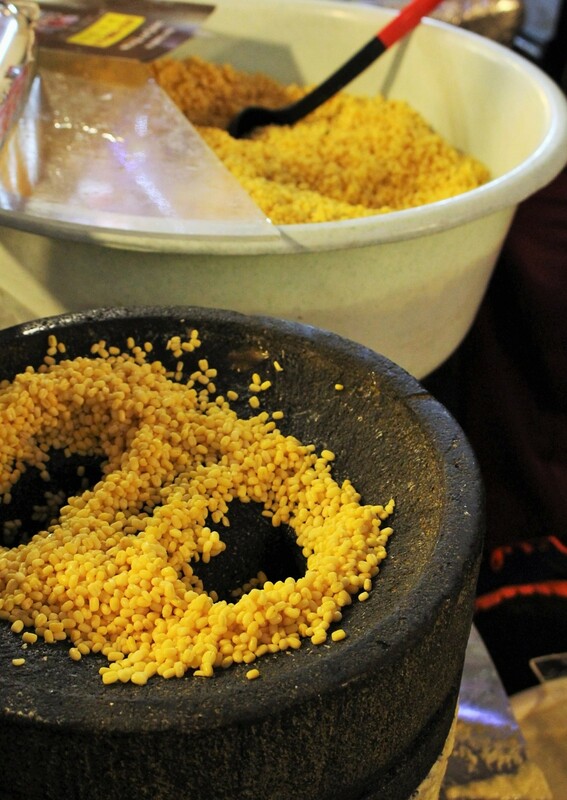 The mung beans are freshly grounded in the stone grinder, then mixed with vegetables and fried. Makgeolli is the perfect drink to pair with this dish. 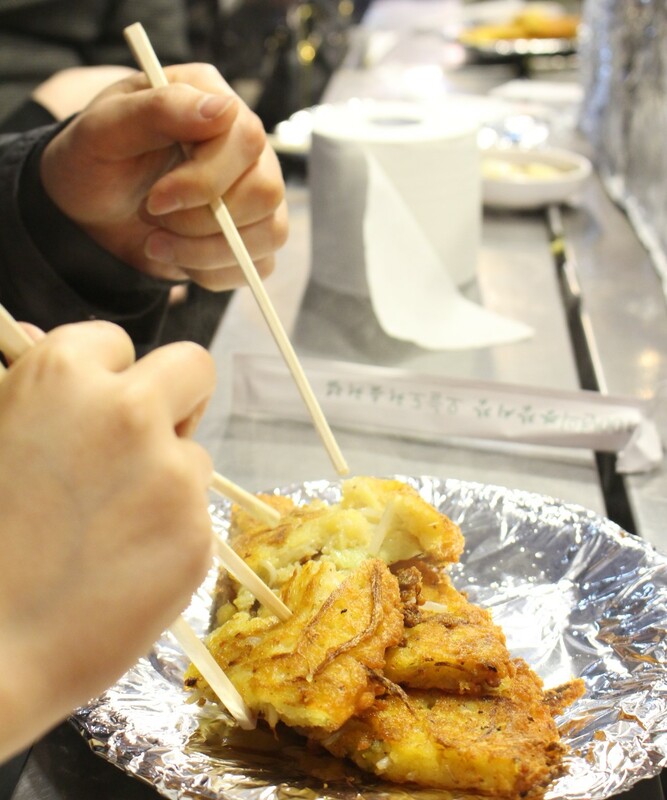 Eating in the middle of this indoor market among the hustle and bustle should be on your list of experience to have in Seoul! 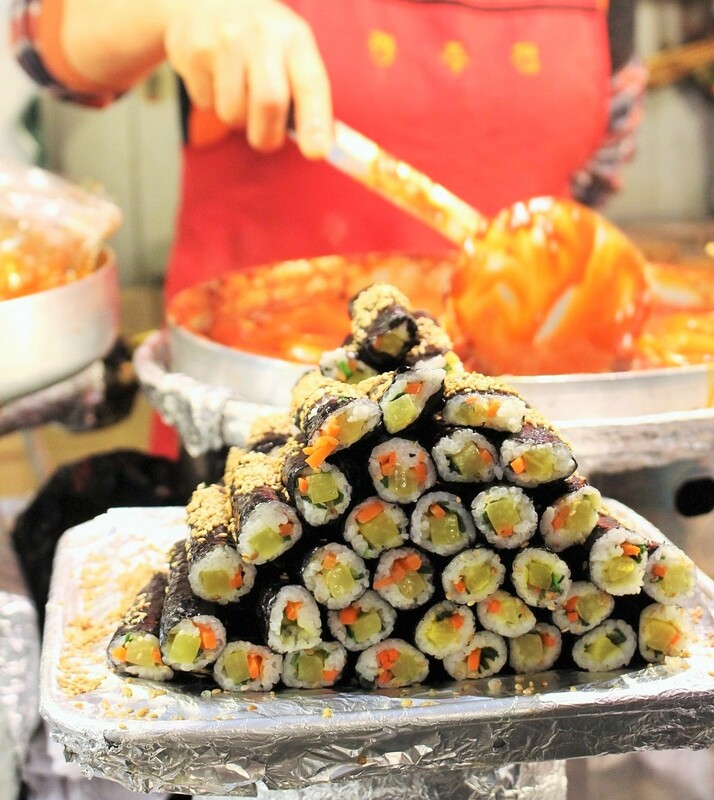 Arg, I haven’t been to Gwangjang Market yet.. It’s so on my bucket list to try all the food there! Vous lisez actuellement Gwangjang Market – Seoul à Sugarsheet.